Visit the New York Times Academic Site License Registration page to create an account. You're done! You will receive an e-mail stating that you have activated your group pass. Upon registration, you are granted online access to the New York Times for one year. 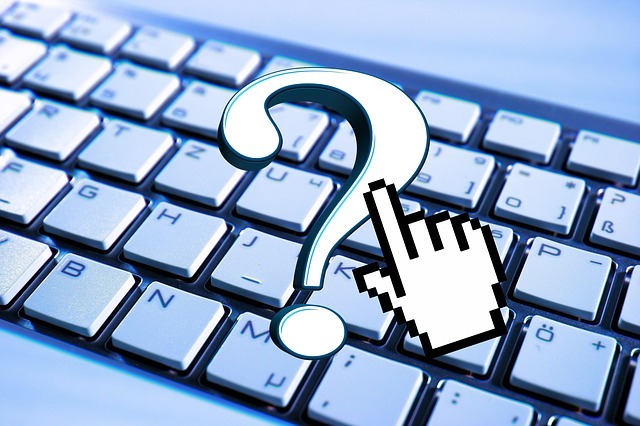 Our site license requires an individual to renew their registration once per year in order to maintain access. 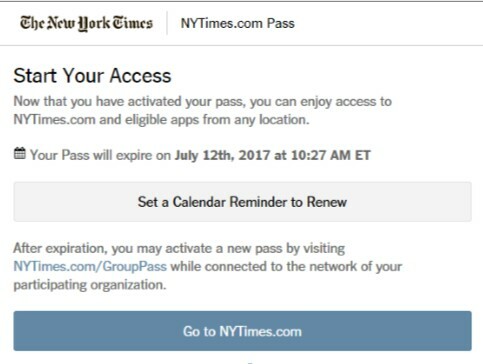 Note: All NYTimes.com Pass users have unlimited access to the New York Times archived articles outside the 1923–1980 date range. Each day of their pass, users may access up to five free articles published between the years 1923 through 1980. NYTimes apps are not supported on all devices. Passes do not include e-reader editions, Times Premier content or digital versions of The New York Times Crossword. All Digital Access pass users do not have the ability to share their digital access. Additional restrictions may apply. The site license also contains access to some special content aimed at higher education: nytimesineducation.com, nytimesinleadership.com, and nytimesinthefirstyear.com.